To Find Freedom and Victory. It was in putting the pieces of Kristy's childhood together, that she saw similarities in her ex-church leaders. Without a solid demonstration in forgiveness and Grace, healing was elusive. Kristy overcame a childhood of neglect and harm, only to re-experience a similarity within her Church Community. She was judged through her mother's Mental Health struggles; a mother who'd passed away thirty-five-years earlier. 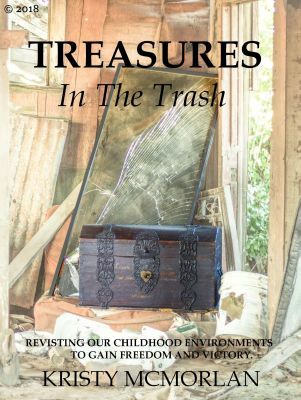 ​​ "Treasures in the Trash” is the true story of the author who struggled with church leadership’s destructively cruel administration; their actions activated psychological traumatic flashbacks to the author’s childhood. Her experience resulted in unearthing a correlation between abusive parents and detrimental people within the Church. Growing up with alcoholic parents, a detached and distant father, an unstable mentally ill mother, the author overcame a childhood of neglect and harm resulting in C-PTSD, only to re-experience a similarity within her church family. ​Church hurts are equally devastating to people as childhood wounds are. She was seeking Biblical-based resolutions, to the hardships which developed within her church; however instead of restoration, she was repeatedly told to forget the recurrent unkindness. Similar to her father’s guidance, she was never to speak of the wounds inflicted by self-centered people. -Do I have to forgive all the people who hurt me, but never acknowledged their actions? -How do I forgive those that profess the same Christian faith, however seemingly don't practice it? -What does being a Christ Follower to unkind, un-trustworthy, critical people resemble? 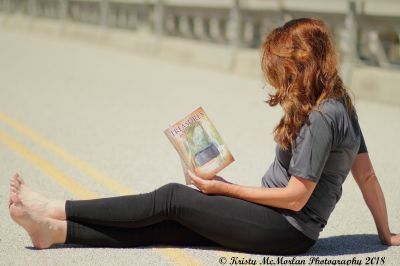 Join the author as she discovers: lies, secrets, scandals, and truth! How she became a survivor and is no longer a victim of abuse. Why she believes revisiting our childhood environments can remove the unwanted trash mistreatment frequently leaves behind undermining our self-concept. We can gain freedom and victory, with liberating Godly treasure! Read Kristy’s story of redemption, as she shares her triumphant journey of healing.